Published by breathmint on August 17, 2014 in live review, review, video and YouTube. 0 Comments Tags: 1994, Crack Smoking, Miami, The Rolling Stones, The Spin Doctors, Whoopi Goldberg. September 17, 1994 around 6:00 am in the parking lot of Sears at the Coral Square Mall, Coral Spring, FL. I took the earliest bus I could to get there. I was one of the first 10 people or so in line. None of us knew Ticketmaster would be using a lottery system that morning. I bought tickets all the time from them during this era, and they hadn’t ever used it before this show – at least not at this location, where I bought tickets for most of the big shows I went to. I drew an unbelievably bad number and ended up being sent to stand behind hundreds of people who arrived long after I had. After waiting in line for well over four hours, I finally arrived at the counter where I scored two tickets, for me and my stepdad. We were to be seated in the very last row of Joe Robbie Stadium at the low cost of just $100 (not counting Ticketmaster fees). Two months later our backs were against the concrete walls behind us and the techs setting up on stage were just tiny spots. I was so excited! While we waited for the show to start, the dude next to us smoked crack. When he noticed me staring, he asked if I was a cop. Oh wait, I forgot to mention… I was a fifteen year old kid at the time. “No.” He went back to his pipe. Later he explained he had been looking to buy a joint, but only could find crack in the streets of downtown Miami. The Spin Doctors opened, and they killed it. I can’t believe I actually just typed that. The crowd was pumped. I remember feeling very different from any other show I had been to until that point. Something magical was happening. The crack smoker asked me and my stepdad for a ride home, and we pretended not to hear him as the stadium went into a roar while a spotlight traced a blurry figure walking from the edge of the stage. I glanced over at the Jumbotron and recognized the figure as Whoopi Goldberg. She arrived at center stage, grabbed a mic, and said something like “Ladies and gentlemen… I am here for one reason: to introduce the greatest band in the world – The Rolling Stones.” Everyone went crazy screaming and cheering as she walked away (she later joined the backup chorus during Sweet Virginia) and the band took stage. That’s how I remember it. Below, you can see how it actually went. Oh, I forgot to mention… the whole thing was multi-cam & soundboard pro-shot and broadcast worldwide on Pay-per-View. Watts’ drums started to pound, Jagger strutted out and took a bow, followed by Richards and Wood. 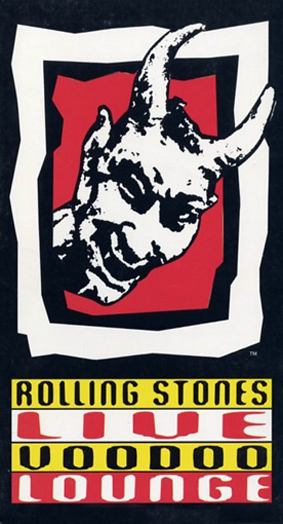 This (tour, not exact show) was the Stones’ first in four or five years (depending on how you count), and they decided to go all out – especially for this show which beyond being on pay-per-view saw a VHS release (followed by a DVD release years later). Special guests on stage that night were Bo Diddley, Robert Cray, and Sheryl Crow. An elaborate set design included gigantic fire breathing snakes, and a detachable section of the stage that moved the band across the floor of the stadium and out amongst the crowd for an acoustic mini-set. Check out some of the videos below the setlist and witness why this tour became the highest grossing concert tour in history until that time, and until today it remains at #10 (or adjusted for inflation it’s actually #3).